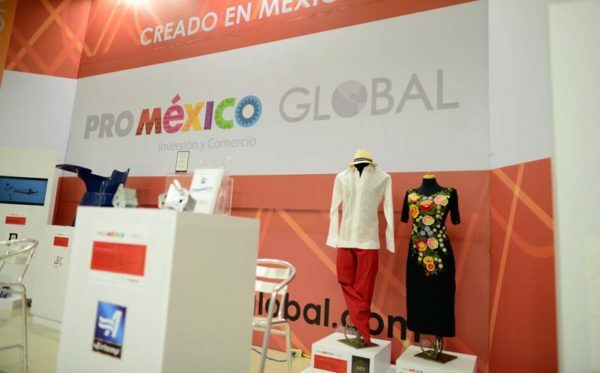 HOUSTON — Currently there are 14 companies from Yucatan that are exporting to the United States and another 33 are in talks to start exportation of their products, and by the time Pedro Cabrera Quijano of Fundación Produce Yucatán completes a year in charge of this foundation, next September, he expects to have a total of 50 companies exporting. Produce Yucatán is currently the major link between these two countries in terms of trade. Cabrera Quijano declared that they currently have an office in Houston that seeks to have companies from Yucatan to export to the United States, because Americans like what is produced in Yucatan, but they are very demanding. He explained that if the products that you intend to sell, do not get the correct certification you won’t be able to sell it in the country. You must be careful to be punctual with the appointments that you make. A few weeks ago the Fair of Yucatan was held in Houston, Texas, and now this event will be held every year, 33 Yucatecan companies started negotiations and business relations during this fair. He explained that for food certification they are working with the Ministry of Rural Development (Seder) and the Secretariat of Economic Development (Sefoe). He pointed out that among the new companies that are exporting to the United States since he is in charge of that agency are Anita, Horchata Deliciosa and Coco Maya, among others. Cabrera Quijano concluded saying that Americans are mostly interested in habanero pepper, honey, coconut water, handicrafts, snacks, artisanal beer, vanilla, spices, liqueurs and guayaberas, among other products.